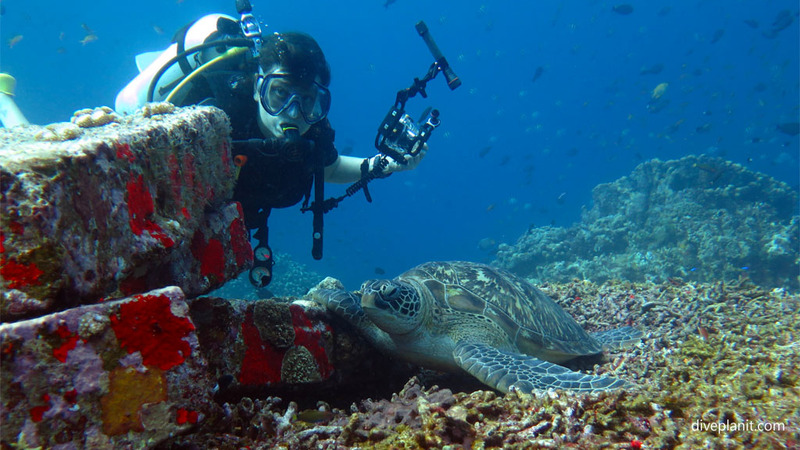 I call this the Gilis turtle dive, even though – as this video shows – you’ll encounter turtles at most dive sites around the Gili Islands. But this is the one spot, and a particularly artificial reef, where they always seems to be present: Gili Islands Secret Garden between Gili Meno and Gili Air. Secret Garden starts on a broken coral base with some coral stacks winding round to an opening where there are some concrete blocks (about the size of railway sleepers) stacked in such a way that turtles might find handy refuge in them. There are a number of these ‘artificial reefs’ dotted around The Gilis. 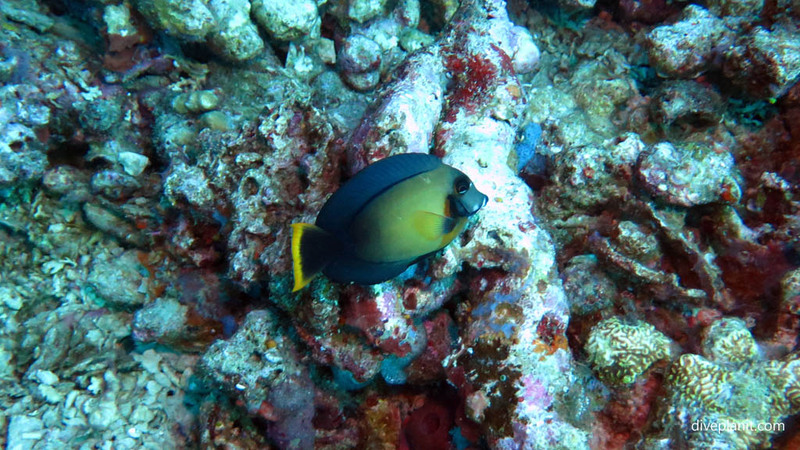 On the way there are some colourful, but individual reef fish, like this mimic surgeon. One of the lyre tail rockcods. 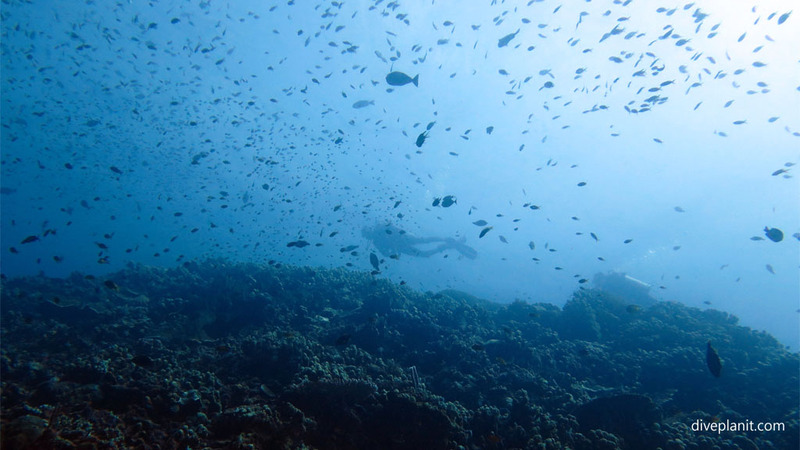 Towards the end of the dive, we arrive at the artificial reefs blocks, on which coral is starting to grow – obviously not fussy about the substrate they grow on. 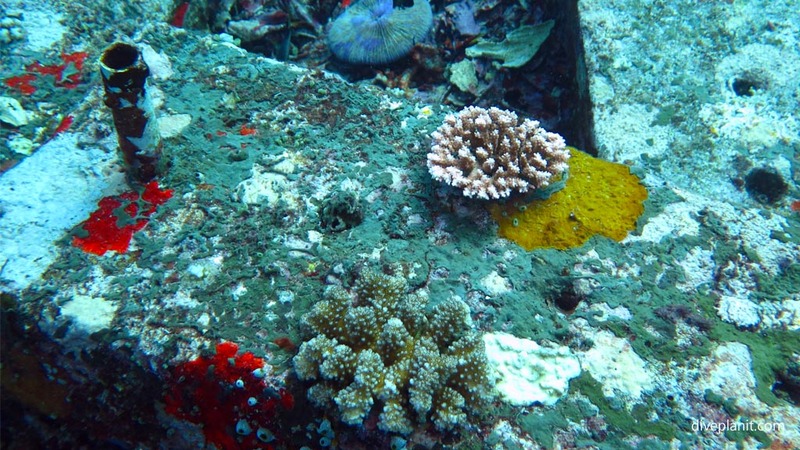 And algae too is growing on these reefs. 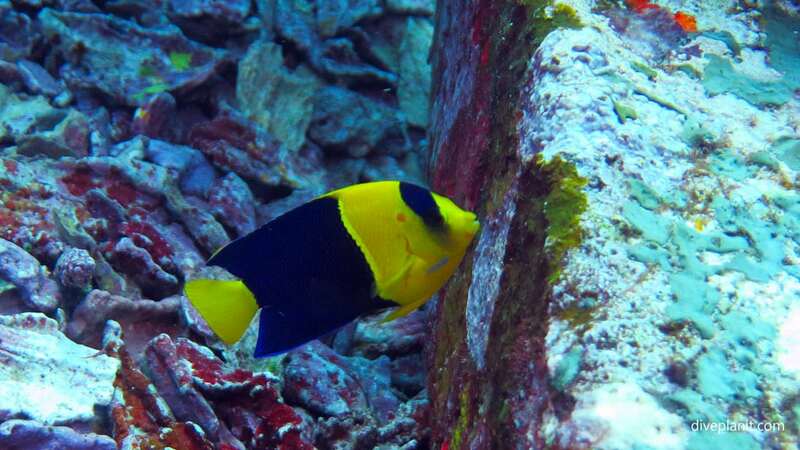 This bicolour angel is happy to graze on the algae not concerned that it’s not growing on regular coral reef. 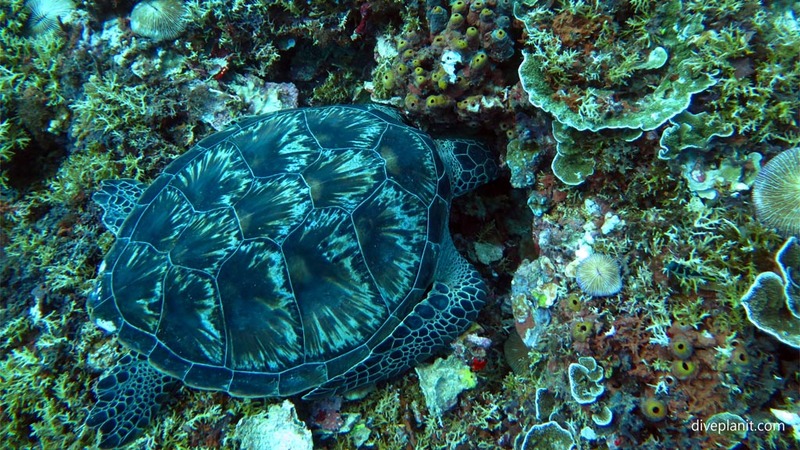 In and around these structures we find half a dozen turtles – green and hawksbill – one arriving and settling there right in front of us. 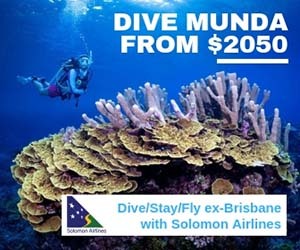 They are obviously used to seeing lots of divers around. 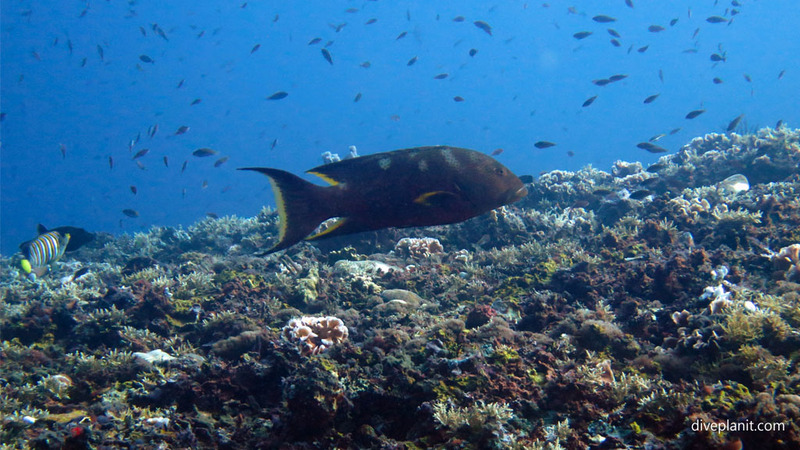 We dived Secret Garden, Gili Islands, Lombok with 7Seas Dive Gili, Gili Air, Lombok Indonesia.